While we are busy every day here at the Sharpteam Headquarters organizing (every day this week Andrew is doing a pretty major project to get the Garage organized for our Friday reveal) . . . I am realizing that you are not seeing the little steps. So I am committing to two posts a day. The first are the ones I had planned out in September (Monday – Organization, Tuesday – Low Impact, Wednesday – Systems, Thursday – Rhythms, Friday – Big Projects, Saturday – Pictures of our Day, Sunday – Quote). And then we will add a quick “organizational tip,” recognizing it is probably not the first time you have thought of it, but in order to spark your own organization and ours . . . Today’s tip . . .
We do not need catalogs. Catalogs inspire us to buy more. We do not need to buy more. They add to our trash and recycling. We do not need more trash. We found Catalog Choice when we moved into our new home and were inundated with five to ten catalogs per day (the previous owners apparently really liked catalogs). It is a tremendous service. 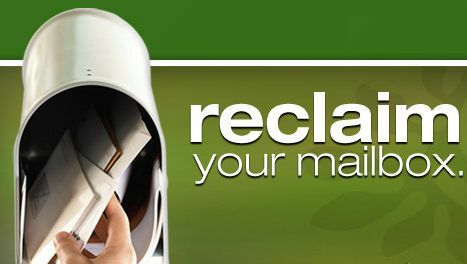 Grab the catalogs you don’t want and take ten minutes to stop the catalogs and reclaim your mailbox! Would love it if you took the challenge and left a comment to affirm you too are choosing to limit junk mail.